Taxes are not fun and compiling the data is even worse. Talk to an expert at PayrollHero to see how our software platform can complete this for you at the click of a button whenever you want to. The following is required information for you to compute your income tax. 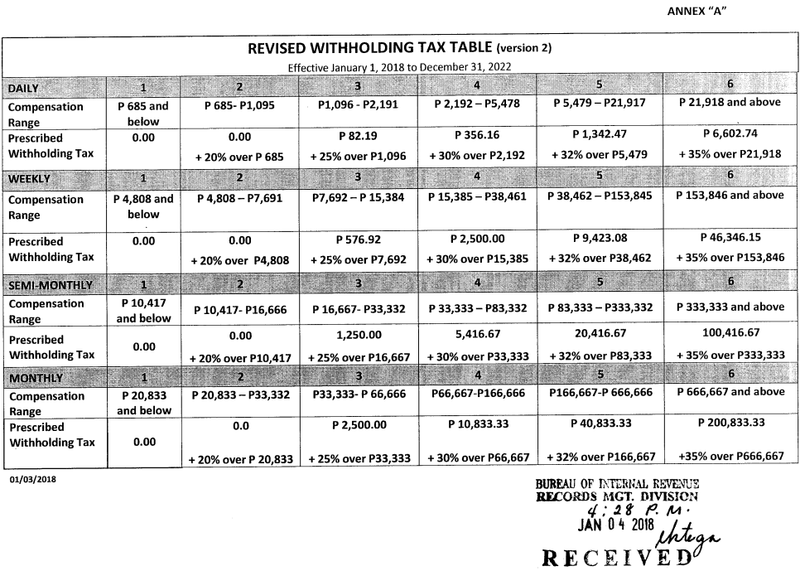 Under Monthly Compensation Level (CL) look of the nearest figures with your taxable income and the nearest amount is 33,333 and the tax is Php 2,500.00 + 25% in excess of 33,333.